A cookie is a small amount of data, which often includes a unique identifier, that is sent to your computer or mobile phone browser from a website's computer and is stored on your device's hard drive. 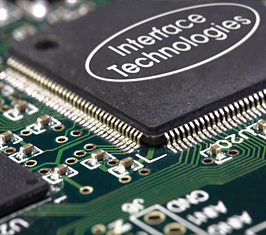 In the Interface Technologies Europe Ltd website, cookies allow us to identify your visit and to collect information about how you have used our site. The Interface Technologies Europe Ltd website does not use any third party cookies other than the analytical cookies noted below. These allow us to improve our website based on information such as which links are used most frequently or which pages receive the lowest number of unique visitors. They are not used to create a detailed profile of an individual's browsing activity.